Not Now. Not Yet. Wait. So, sometimes we think we are in control. Sometimes, we think that we can make plans. Sometimes, we think we understand all that there is to understand. 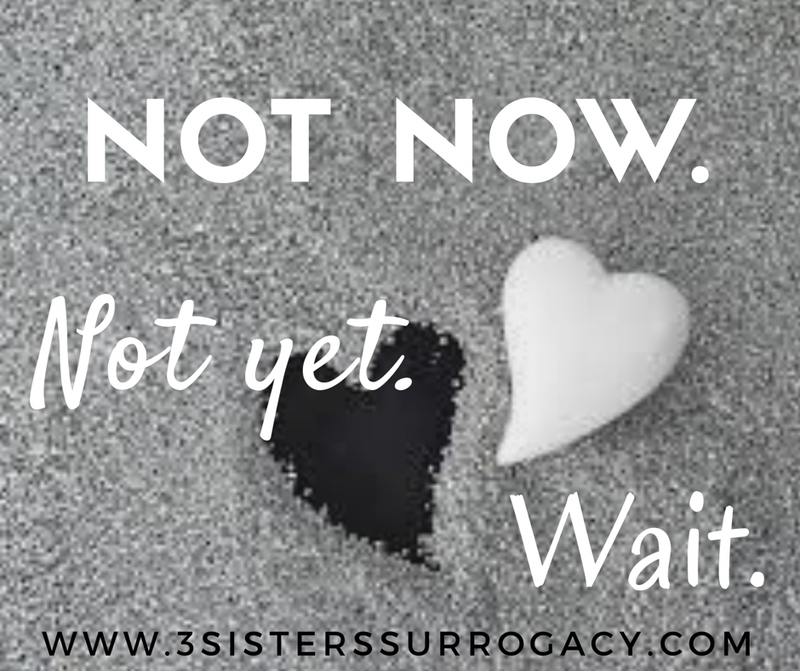 About four weeks ago, one of our gestational carriers (GC) found out that she was pregnant. The future parent was so happy that this was finally happening. When the GC went in for the first ultrasound, there was a gestational sac, but no embryo could be seen. The technician said it was early yet. It was only just 6 weeks, so not unusual to miss something so tiny. Both the surrogate and parent were left feeling tentative, but hopeful. Another ultrasound was scheduled the following week. 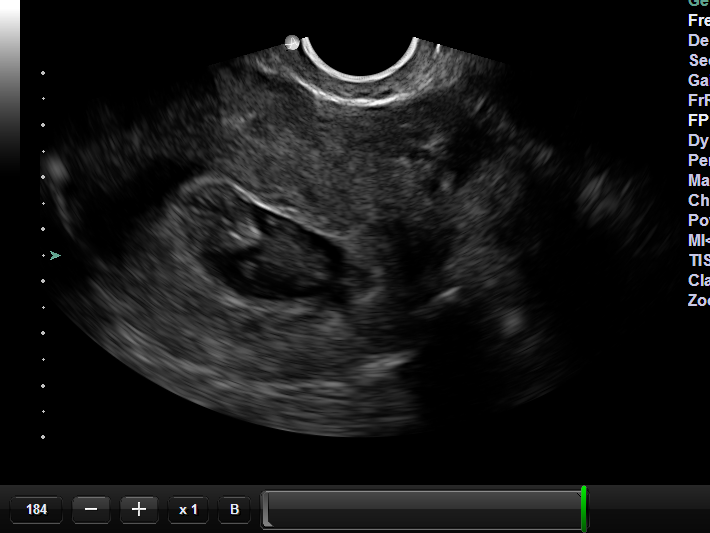 The repeat ultrasound showed an empty sac. No heartbeat, no baby. Of course, after everything that had been experienced, the GC and the parent were devastated. Such a long journey, only to get hopes raised and then dashed at this news. The medications were all discontinued. The only thing to do was to wait for the inevitable – a miscarriage. They waited. And waited. For two weeks they waited on the failed pregnancy to end. And when it didn’t do so on its on, the doctors suggested that a D&C may be in order. The GC went in yesterday to have her blood levels checked so that a plan of action could be made. The pregnancy hormones had continued going up! An ultrasound was scheduled for the following day – today. Today, this sweet, special, wonderful woman got to make the most amazing phone call. There on the ultrasound was a 10-week old fetus, very much there and alive and swimming around in that once empty sac. These are the days I live for. This is why we do what we do. Today has been a great day.